Bots already are used to vacuum floors, build cars and do heart surgery. 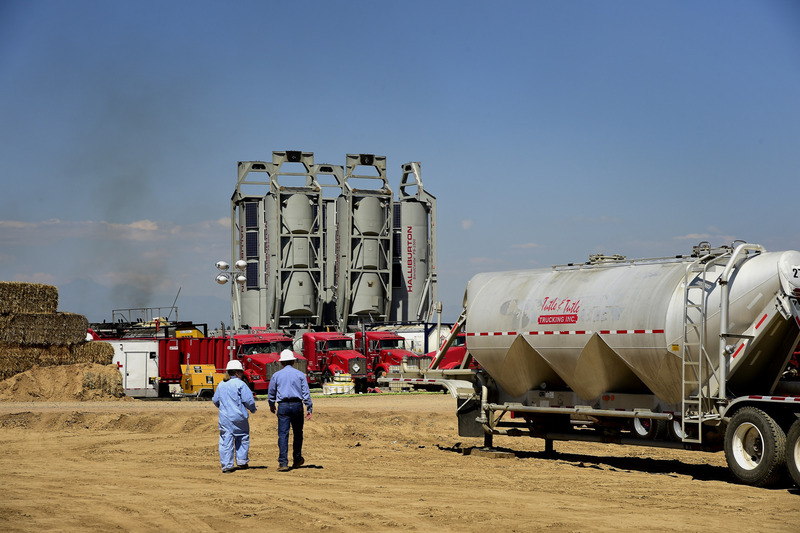 Now, Halliburton Co. wants to add fracking to the to-do list. The world’s biggest provider of the technique that unlocks oil and natural gas from shale rock has a vision of push-button fracking that’s still years in the making. But for now, the Houston-based contractor unveiled a new service that will help move in that direction. Tested in fields globally including the Permian Basin of West Texas and New Mexico, Halliburton’s Prodigi AB service uses data and computer coding to automatically crank up the pumps to the necessary level in order to blast water, sand and chemicals underground to released trapped hydrocarbons. Typically, workers have to rev up the pumps manually, which can lead to inefficiency and delays, Gale said. Before wells are fracked, automated rigs are already being used to drill them.